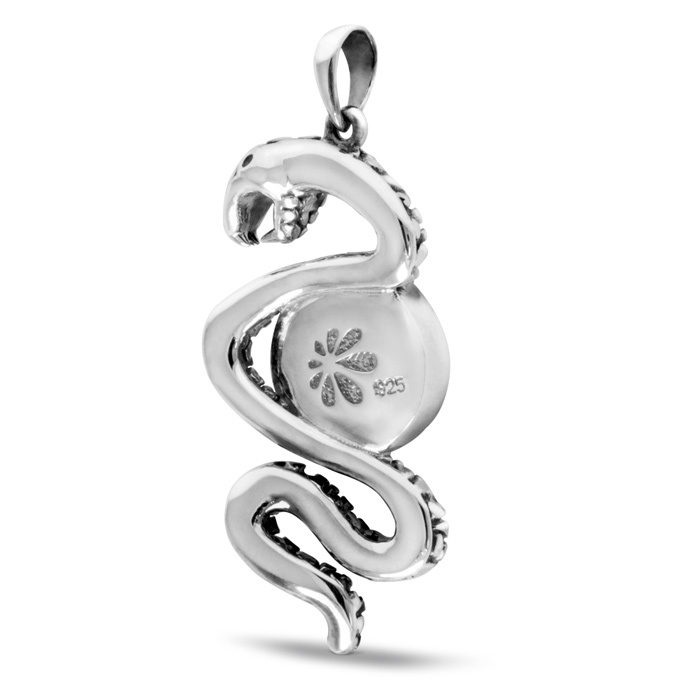 Let people know you’re not afraid of anything with our Snake pendant. 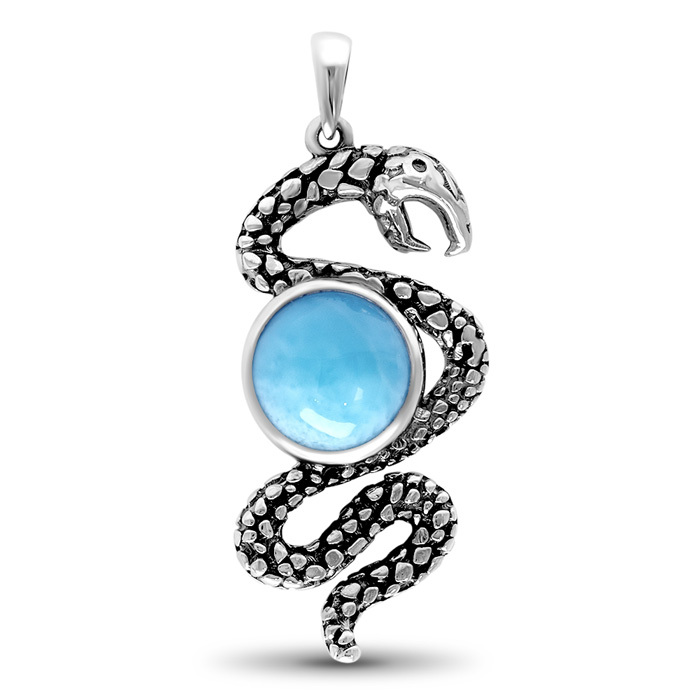 Made of etched and oxidized sterling silver, and curving around a glowing round of lovely larimar gemstone, this piece can be your signature piece. You’ll never want to take it off! 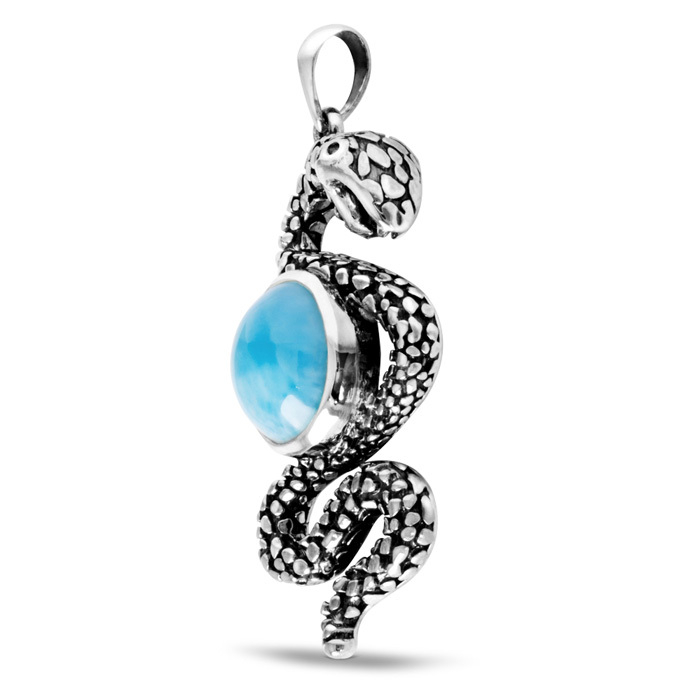 Product Details: 10mm larimar gemstone and oxidized sterling silver. Overall size is 21x40mm. 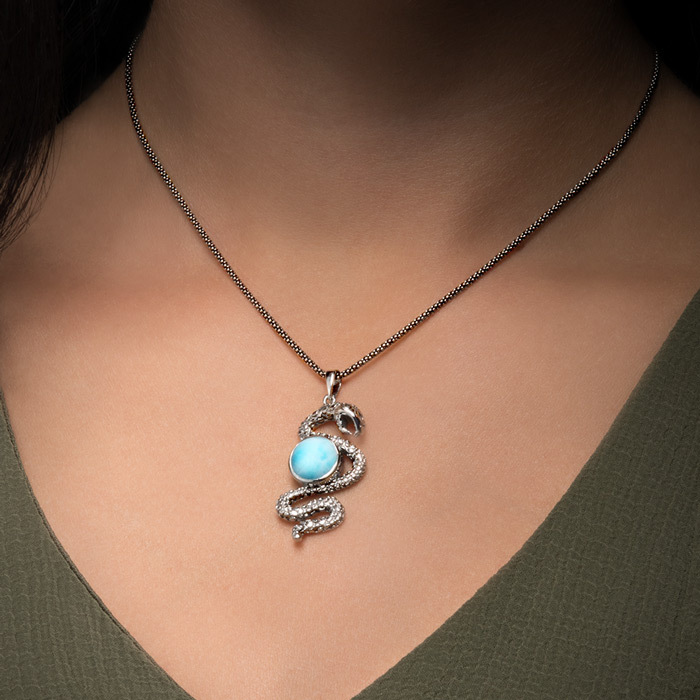 Comes with an adjustable 21” sterling silver chain with an easy, sliding mechanism and lobster clasp that you can set to the perfect length for your look!